BMW has launched a completely new series of bikes all based around a 650cc single cylinder engine. 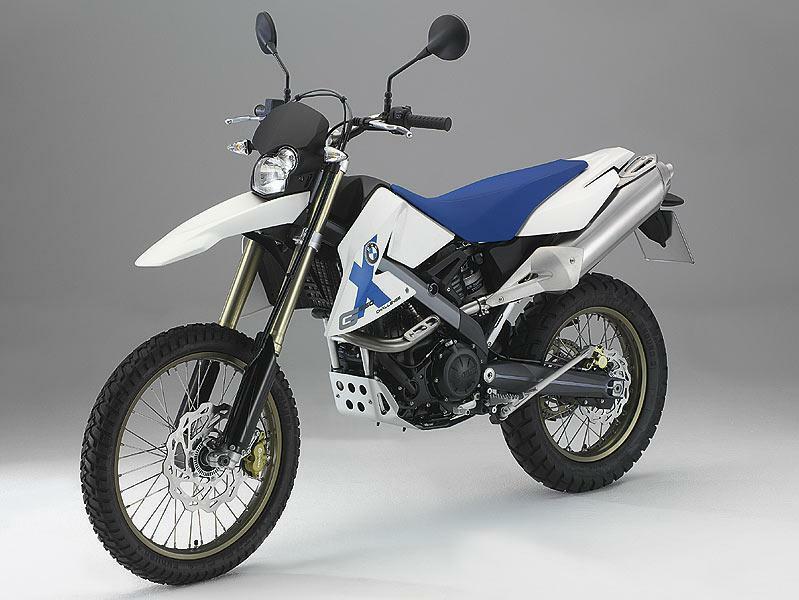 The G-Series boasts three models, which are all a variation on the enduro/supermoto theme. The G650 Xchallenge is the enduro version with longer travel suspension and 21-inch front wheel giving it real off-road potential. The Xmoto is the supermoto version designed to take on the likes of the KTM duke II with 17-inch allow wheels front and rear. And half way between the two is the Xcountry, a trial-styled city bike with a 19-inch front and 17-inch rear. All the bikes are around 160kg, will make 53bhp and should cost no more than £5000.